On the 21st of September 2016, Maxis launched the new MaxisONE Kid smartwatch plan. This is a specially-designed postpaid plan for kids that comes with a kid-friendly smartwatch – the QQ Watch. The smartwatch is constantly connected to the Maxis network, allowing parents to keep tabs on their children, and communicate with them without a smartphone. Who best but Arjun Varma, Maxis Head of Postpaid and Adelle Gregory, Maxis Head of Digital Services, to explain the new MaxisONE Kid plan? For your quick understanding, here are the key points summarized. This plan is exclusively for MaxisONE customers only. Each MaxisONE principal account can sign up for up to two MaxisONE Kid plans. The MaxisONE Kid plan costs RM 58 per month, with a 12 month contract. After the contract ends, you may purchase another MaxisONE Kid plan, continue to pay RM 58 per month, or switch to a different plan. 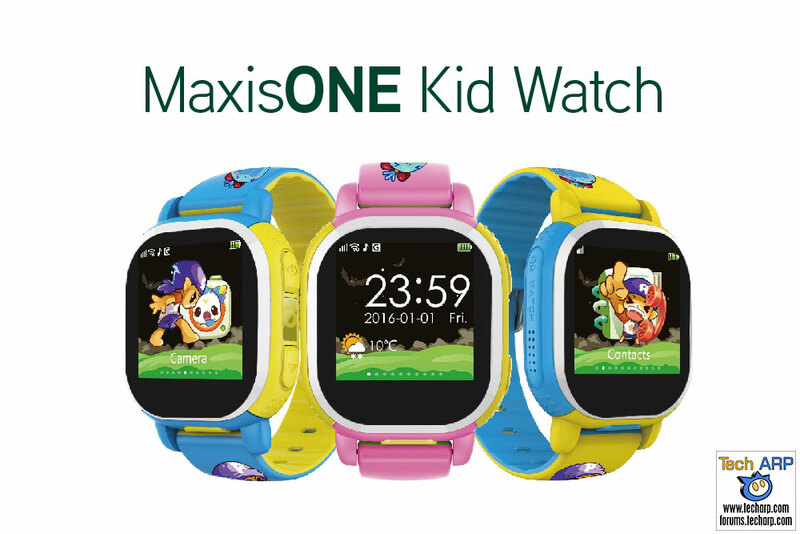 The MaxisONE Kid plan comes with a free QQ Watch (rebranded as the MaxisONE Kit Watch), worth RM 569. The plan also comes with 500 MB of Internet and unlimited calls to 10 local numbers (all networks), and voice messages. The MaxisONE Kid SIM card will only work with the QQ Watch. 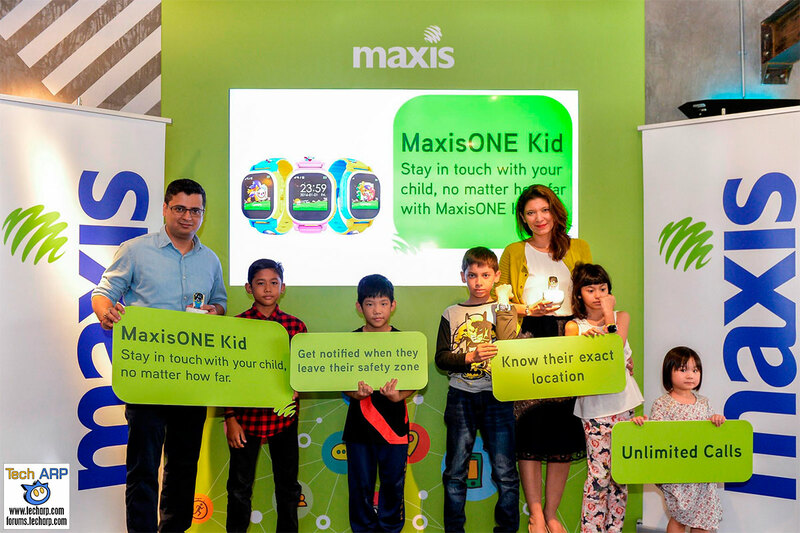 Maxis is making it easier for parents to stay connected with their children with MaxisONE Kid, a specially designed postpaid plan that comes with a kid-friendly smartwatch. Using the MaxisONE Kid watch, parents can keep tabs on their children’s location and easily communicate with them even if their child does not own a smartphone. One feature of the MaxisONE Kid watch that parents will appreciate is the built-in GPS, which helps track and send the child’s real-time location and movement to an app on the parents’ smartphones. The app also enables parents to manage their child’s contact list, configure alerts to be sent when the child enters safe and dangerous zones, send text messages, make calls and receive pictures taken from the child’s smartwatch. The app also allows the parent to “switch-off” the calling and chat function during school hours to ensure there are no distractions while the child is in school. The app also displays the battery life of the smartwatch as well as the number of steps the child has taken during the day. Smart tracking – Accurate, real-time location reports and history of where your kids have been. You can also adjust the frequency of how often your child’s location is refreshed in the map. Unlimited calls – Make unlimited calls to 10 numbers on any network. This enables parents to control who their child is able to call and who can call the child. Intelligent safety – Remote listening mode (ability to hear your child’s surroundings) and one touch SOS call function in the event of an emergency. Fun additional features – Two-way calling with 0.3MP camera and a built-in pedometer. Share guardianship – Set up to 4 guardians who can monitor the child.